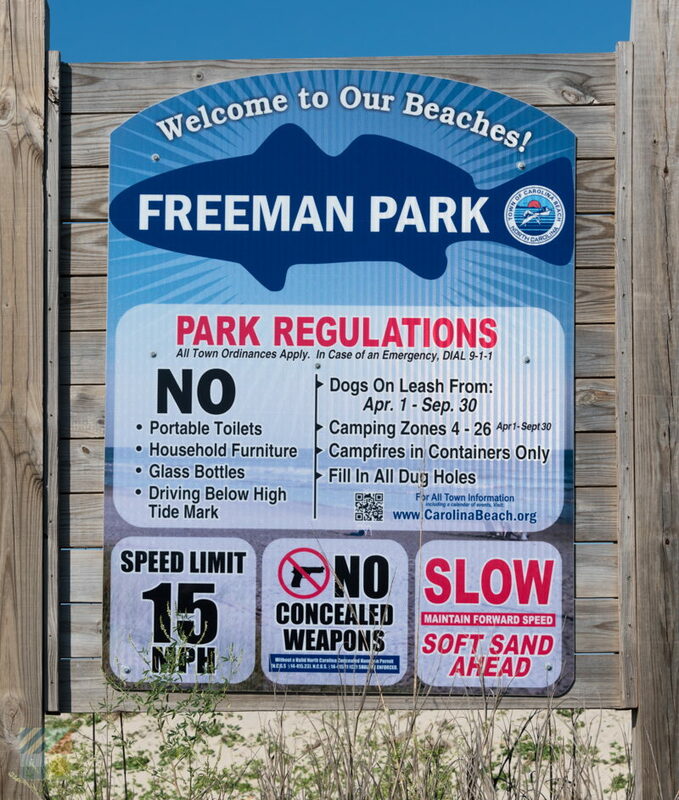 The northernmost coastal region of Carolina Beach is home to the Freeman Park Recreation Area, a stretch of shoreline that is well known to adventurous, beach-loving 4WD truck owners. 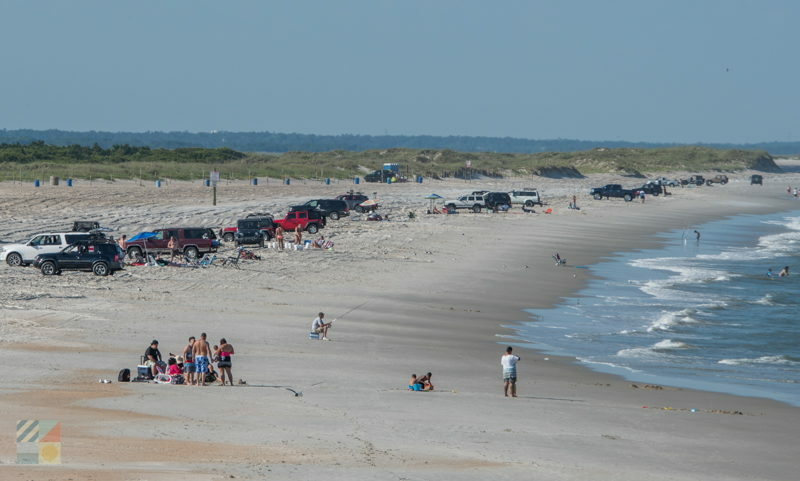 Unlike other stretches of the barrier islands off the coast of Wilmington, this park is special because it is completely undeveloped, and allows beach driving to off-roaders who like to cruise along the sand. Though somewhat crowded in the summertime, virtually every vehicle can find a spot, and wintertime visitors will often find they have the entire shoreline nearly all to themselves. 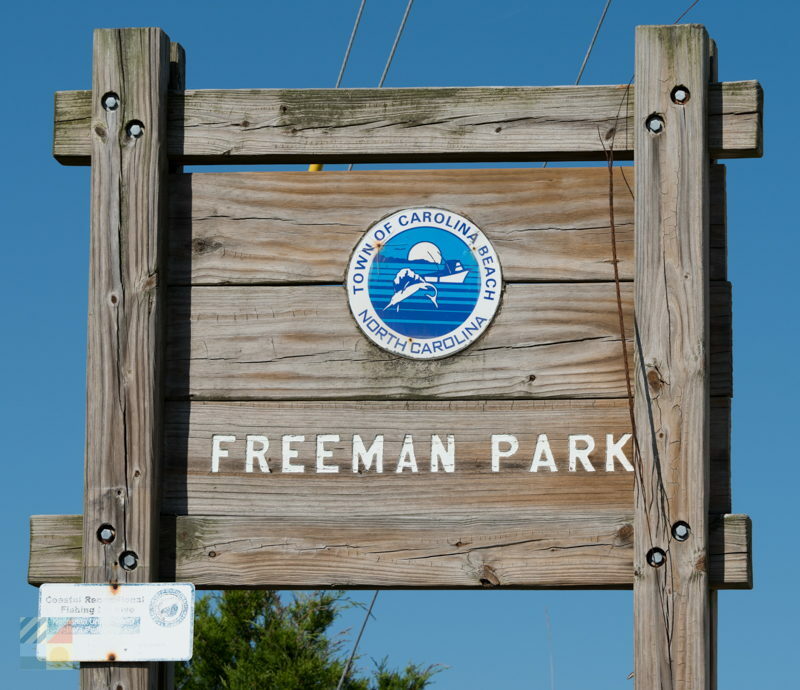 Fun, scenic, and a well-known refuge for surf fishermen and beach bums alike, the Freeman Park Recreation Area is one of Carolina Beaches' favorite oceanside destinations. 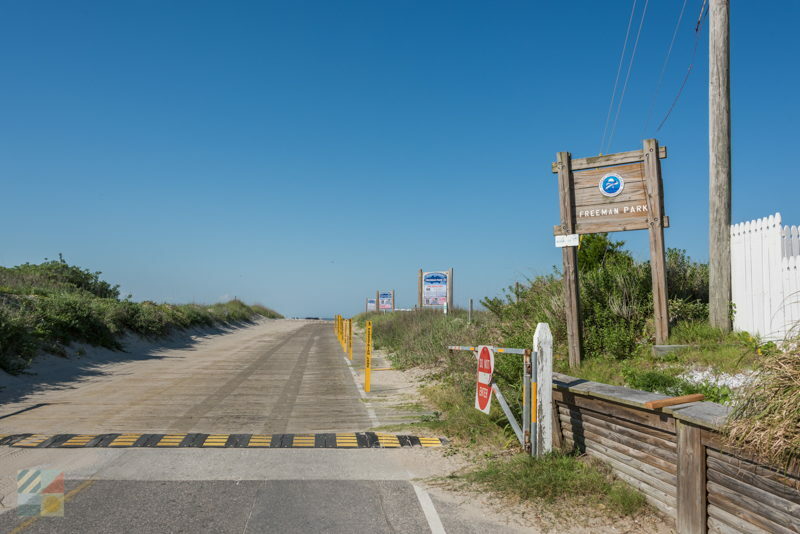 Vehicles are allowed to park on the sand along any area of the beach, and visitors on foot or bicycle are certainly welcome to enter the park as well, and enjoy a long hike to the gorgeous inlet waterfront. The inlet, in fact, is an especially popular stretch of beach for both fishermen and shell collectors alike, as the wide inlet-facing beaches are often home to a number of large saltwater species, including blues, spot, croakers, sea mullet and even drums, as well as small, but perfectly intact seashells.For either enterprise, visitors are advised to visit the beaches early, or in the shoulder season fall and spring months, to score the best finds and enjoy plenty of elbow room. While this parcel of Carolina Beach is completely undeveloped, it can be crowded in the summertime, and visitors who like plenty of extra space to enjoy the views are advised to visit early, in the evening, or in the off-season months when the beach is delightfully deserted. 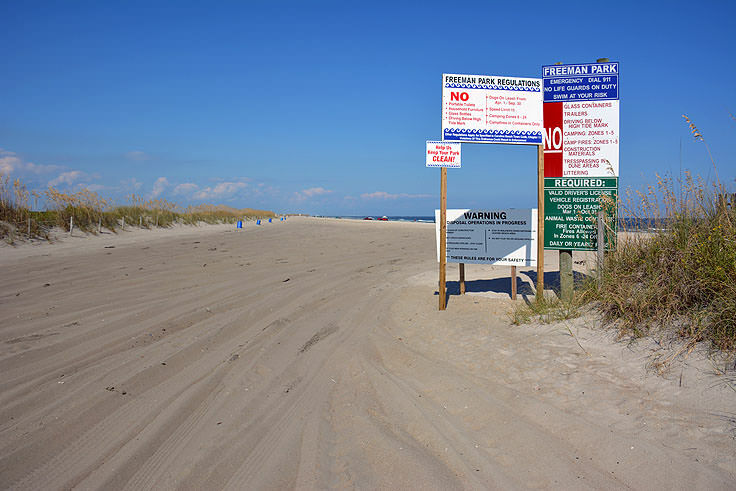 Vehicular visitors are advised not to drive through or park by the ocean wash, or any region (especially near the inlet) that can be submerged as the tide comes in. 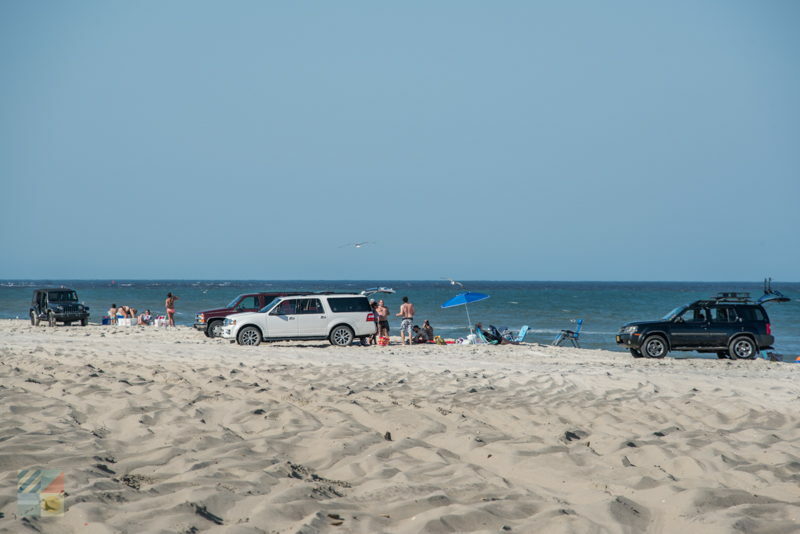 Saltwater damage or flooding is devastating to a vehicle, and parking above the high tide line ensures that a day at the beach doesn't turn into an expensive tow, or even worse, a very expensive total vehicle replacement. While the beaches have been flattened down by plenty of use, and as such are very easy to navigate, drivers are still advised to slack down their tires to 20 psi, and ensure their truck has plenty of clearance in case of encounters with deep, soft sand. A vehicle also absolutely must have 4WD to access the beach. While trailers are prohibited, overnight camping is also allowed (with permit) in the Freeman Park Recreation Area past Mile Marker Post 6 between Aptil 1st and September 30th. Campfires are also allowed with some restrictions. 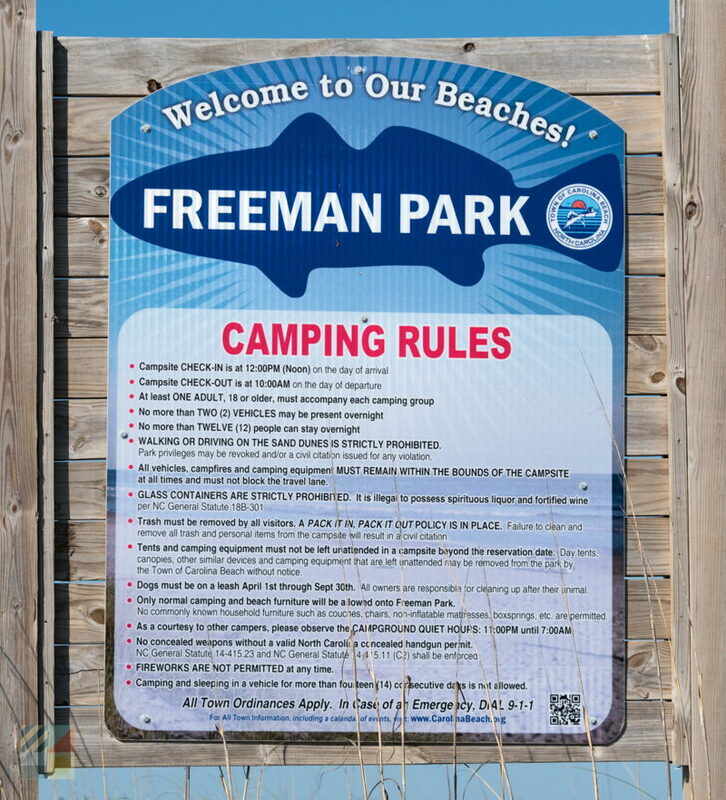 Most important, a permit must be purchased to access the Freeman Park Recreation Area via a 4WD vehicle, and permits are available as daily, weekly, or annual passes. A daily pass runs around $30 and can be purchased at the park's main entrance, however frequent visitors who make several trips per year to Freeman Park should pick up an annual pass, which generally runs around $150. Annual or "seasonal" passes require a permit application and a copy of the applicant's driver's license, which can be mailed before a vacation to the Town of Carolina Beach Parking Office, N. Lake Park Blvd., Suite D, Carolina Beach, NC 28428. (Seasonal permits can also be purchased in person at the Town of Carolina Beach Parking Office and the Carolina Beach Town Hall during business hours.) The application can be found online, or can be picked up and submitted at four locations in Carolina Beach: Island Tackle and Hardware, Canal Drive Scotchman, the Carolina Beach Parks and Recreation Center, and the Brew Thru convenience store. Though the permit application initially may sway some people away from beach driving, the process is honestly a minor inconvenience at best, and the rewards are well worth the trouble. 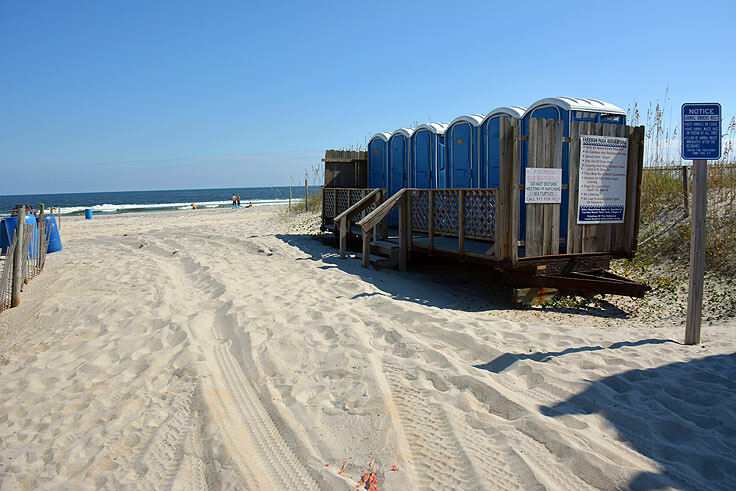 With stunning sunsets over the inlet, fantastic wide beaches, decent waves for ocean kayaking or surfing, renowned fishing, and solid beachcombing, Freeman Park Recreation Area is the epitome of what a good southern North Carolina beach should be. Grab all the beach gear your vehicle can hold, (no manual hauling to the beach required after all), and take the family out for a spin at one of Carolina Beaches' most unique, and beloved stretched of shoreline.